Awesome firing power... arrow and balls! 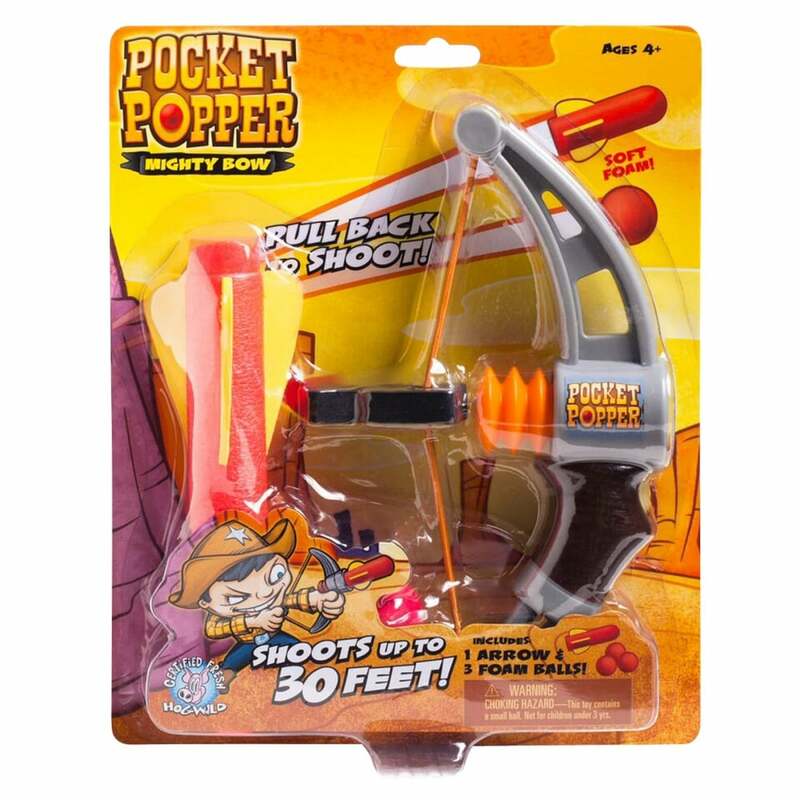 Pull back on the elastic cord to shoot the soft foam arrow or balls. Then reload and shoot again... up to 30 feet! Insert the foam arrow or balls on at a time. Safe for both indoor and outdoor play, each pack comes complete with 3 soft foam balls and 1 soft foam arrow.